PitPoint.LNG will build Germany's first liquefied natural gas (LNG) bunkering station in the harbor of Cologne. 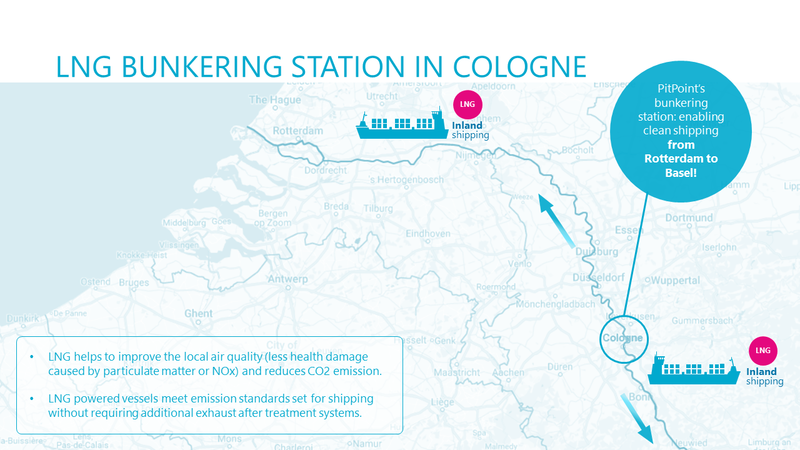 The new station will facilitate the bunkering of LNG powered inland waterway vessels that sail on Europe's busiest transport waterway, the Rhine. 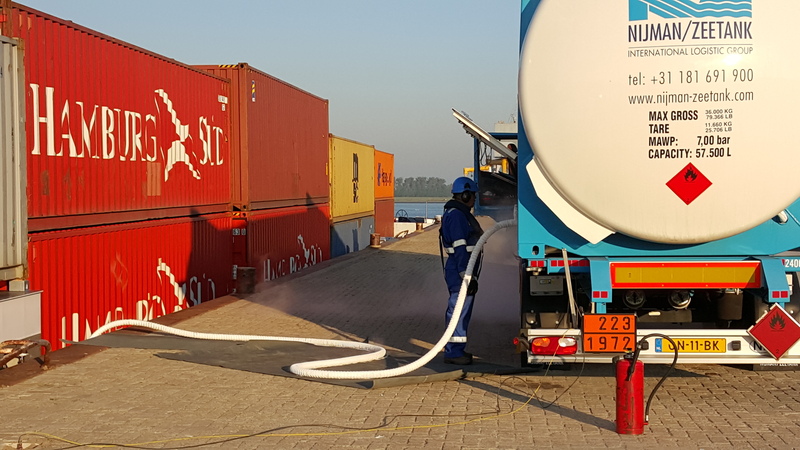 The realisation of this LNG bunkering station is part of hte CEF funded Breakthrough LNG Deployment in Inland Waterway Transport which is co-financed by the European Union's Connecting Europe Facility. The Antwerp Port Authority and ENGIE have signed a 30-year concession agreement for the development of an Alternative Energy Hub at Quays 526 and 528 in the Port of Antwerp. The Alternative Energy Hub will consist of a bunker and filling station with liquefied natural gas (LNG) for inland navigation and road transport. The site will also feature a compressed natural gas (CNG) filling station and rapid chargers for electric vehicles. With the development of the Alternative Energy Hub, the Port of Antwerp and ENGIE are taking a major step forward in the energy transition and promoting sustainable energy consumption in the transport sector. The concession takes effect on 1 October 2016 and the first phase of the hub will be operational by the end of 2017. Bunkerspot recently released its February/March edition dedicated to market volatility and changing dynamics within the global bunker industry. With the support of industry experts, Bunkerspot’s editorial team focuses its publications on the technical, operational, legal, commercial and financial aspects of bunkering. 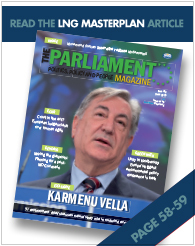 This edition dedicated a four-page article to the positive outcomes of the LNG Masterplan, which came to an end in December 2015. The article can be read here. The Commission presented on 16 February 2016 its energy security package with necessary proposals to equip the EU for global energy transition as well as to be prepared for possible energy supply interruptions. 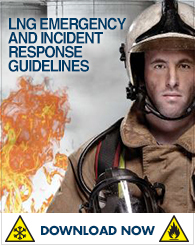 The package sets out a wide range of measures to strengthen the EU's resilience to gas supply disruptions. These measures include moderating energy demand, increasing energy production in Europe (including from renewables), further developing a well-functioning and fully integrated internal energy market, as well as diversification of energy sources, suppliers and routes. Further, the proposals bring more transparency to the European energy market and create more solidarity between the Member States. Regarding liquefied natural gas, the Commission sets a LNG strategy that will improve access of all Member States to LNG as an alternative source of gas. The central elements of this strategy are building the strategic infrastructure to complete the internal energy market and identifying the necessary projects to end single-source dependency of some of the Member States. In January 2016, the European Commission has released the studies to support the Member States in the implementation of the Directive on the deployment of alternative fuels infrastructure. Studies are available here. Directive 2014/94/EU on the deployment of alternative fuels infrastructure, adopted by the European Parliament and the Council on 22 October 2014, defines alternative fuels as fuels or power sources which serve, at least partly, as a substitute for fossil oil sources in the energy supply to transport and which have the potential to contribute to its decarbonisation and enhance the environmental performance of the transport sector. The Directive promotes the use of private investments rather than public resources for the development of the alternative fuel infrastructure. More details available here. "The European Union is very proud to have facilitated this project between 2013 and 2015. The project cost a total of 34 million euros, 17 million of which were provided by the European Union from the TEN-T Programme. We can say “Well done” to all parties involved. It looks like we are going to benefit tremendously from this project for the implementation of LNG in the inland water transport sector. We are actually getting things done now." honoured Dimitrios Theologitis, head of the European DG MOVE Unit Ports and Inland Waterways, the substantial results of the LNG Masterplan for Rhine/Meuse-Danube at the final event of the LNG Masterplan project in Rotterdam. ready and a true European LNG hub, thus an example to other European ports. The London-based company Visiongain recently published a small scale LNG market forecast presenting an ideal balance of qualitative analysis combined with extensive quantitative data including global, national and regional markets forecasts for 2015-2025. The report helps you understand how this market is developing and identify investment opportunities by answering questions such as: What are the future trends in the small scale LNG market over the next ten years? Which national markets will prosper over the next ten years? Who are the main companies in the small scale LNG market in 2015? Which are the main technology providers in the small scale LNG market? Visiongain’s comprehensive analysis contains highly quantitative content delivering solid conclusions benefiting your analysis and illustrates new opportunities and potential revenue streams helping you to remain competitive. This definitive report will benefit your decision making and help to direct your future business strategy. More information you may find here. LNG as a ship fuel holds great potential for shipping to increase operational efficiency, while reducing its environmental impact – especially in the inland navigation sector. 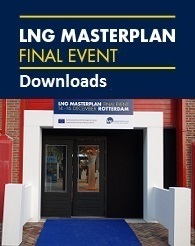 The LNG Masterplan safety studies, performed by DNV GL, were initiated by Pro Danube Management and the Port of Rotterdam in collaboration with more than 50 companies and stakeholders as part of the EU funded project LNG Masterplan for Rhine-Main-Danube. The recently published studies focus on the technical, safety and operational risk aspects of LNG bunkering, as well as LNG loading and unloading. “These studies provide a very detailed and clear insight into the numerous standards and practices already available to make LNG as fuel possible, while also giving us a concrete overview of the topics that we still need to work on in the near future,” says Manfred Seitz, Project Coordinator of the LNG Masterplan project from Pro Danube Management GmbH. The 2015 CEF Transport Calls for Proposals, published on 5 November 2015, make €7.6 billion of funding available for projects of common interest in the transport sector. The Connecting Europe Facility (CEF) supports Trans-European Transport Networks and Infrastructure which will fill the missing links in Europe's energy, transport and telecommunications sectors. It is a key EU instrument to promote growth, jobs and competitivenes through targeted investment at European level. A total indicative budget of €22.4 billion is available in the form of grants to co-fund TEN-T projects in the EU Member States for the 2014-2020 period. From this budget, €11.3 billion is reserved for projects in Member States eligibile for Cohesion Fund. On 13 October 2015, the European Commission adopted the Horizon 2020 Work Programme for 2016 and 2017. The programme foresees up to 938 million € in EU funding for transport research and innovation, including calls on "Mobility for Growth" and "Automated Road Transport". The aim is to drive progress towards a European transport system that is competitive, climate- and environmentally-friendly, safe and seamless for the benefits of the passengers, businesses and society as a whole. The programme will support a range of cross-cutting initiatives: the modernisation of Europe's manufacturing industry (€1 billion); technologies and standards for automatic driving (over €100 million); the Internet of Things (€139 million) to address digitalisation of EU industries; Industry 2020 in the Circular Economy (€670 million) to develop strong and sustainable economies; and Smart and Sustainable Cities (€232 million) to better integrate environmental, transport, energy and digital networks in EU's urban environments. European Union's research and innovation funding programme Horizon 2020 was launched on 1 January 2014. Over seven years €77 billion is being invested in research and innovation projects to support Europe’s economic competitiveness and extend the frontiers of human knowledge. The EU research budget is focused mainly on improving everyday life in areas like health, the environment, transport, food and energy. Research partnerships with the pharmaceutical, aerospace, car and electronics industries also encourage private-sector investment in support of future growth and high-skilled job creation. This news was based on the European Commission press release which can be accessed here. More informartion on Horizon 2020 can be found here. The sole responsibility for the content of this website lies with the authors.